Jon Stewart: Who's Funnier—Obama or Romney? Mitt Romney insists: "I live for laughter." 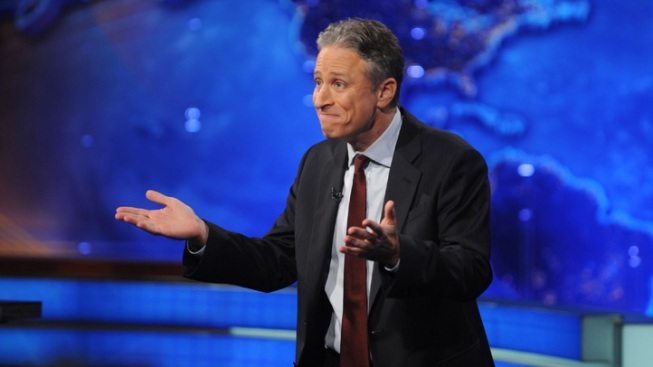 Stewart offered his professional opinion on the central debate of Decision 2012: who is funnier—Obama or Romney? On Wednesday's edition of "The Daily Show," Jon Stewart weighed on the key issue of the 2012 presidential election: who's funnier — Barack Obama or Mitt Romney? Stewart's answer may surprise you. The late-night host compared video clips of the President and the presumptive GOP nominee trotting out their sharpest one-liners, wittiest retorts, and wackiest slapstick bits. (The highlight: Romney pretending that a middle-aged woman pinched his backside during a restaurant photo opportunity — hilarious stuff). Stewart's verdict? Romney is clearly funnier. Romney explains: "I live for laughter." Check out the full clip via Comedy Central below — which also includes footage of Stewart's one-time guest spot on "The Nanny."